A fire service's website has been hacked by a group claiming to be the "voice of Palestine". It follows a similar attack on the Nottinghamshire Police website on Friday. The hackers, calling themselves AnonGhost, replaced the Shropshire Fire Service home page with a logo and a message overnight. The fire service said it was working to get its website back to normal as soon as possible. The hackers put up a message that said: "To All Governments of the World, We are watching you , we can see what you're doing, we control you , we are everywhere." The site has now been restored and police are investigating the attack. The fire service said the hacking had not affected their ability to deal with emergency calls. In Friday's attack, on the Nottinghamshire Police website, the hackers wrote the words: "Khilafah will Transform the world", while music including Mike Oldfield's Tubular Bells played on a loop. 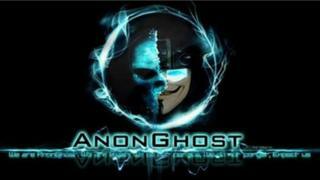 Technology expert Steve Molyneux said the AnonGhost group had been around for 15 months. "AnonGhost is based out of Morocco," he said. " I think there are about 15 hackers and they focus on one specific cause, that being the Palestine/Israeli conflict."